Dr Babasaheb Ambedkar Marathwada University, Aurangabad is implementing ‘Online Admissions’ process. Step 1- Candidate should connect to the internet and open university portal. Step 2- Basic registration information should be provided to register in the portal. Step 3-The applicant can verify the registration and the password. Step 4-The applicant will receive the username and password to the registered email and mobile number. The applicant can log in and start filling the application form. The applicant has to upload the scanned photograph and signature to the portal. Download the application form and attach the required document. Select the college and course in which the candidate has to get admission. The applicant submits the application form along with the documents and gets the prospectus of the required college. In this online application process for admission, applicants shall be able to choose the courses and colleges of their choice which are running and affiliated with the university. The application for centralized admission process for certain courses such as BE, BTech, BArch, BEd, BPharm, MBA etc. are done, you will have to apply separately through the centralized admission procedure conducted by the government. The CET application also available in the university with the cost of Rs.200. The MAH CET is conducted for all the PG course admission to Dr Babasaheb Ambedkar Marathwada University, Aurangabad. The Result for CET will be published on the College Website. The selected candidates should register individually for the admission in the websites. For admission to the college, the student should have passed in 10+2 examination with 60% marks in Mathematics, Physics, and Chemistry, recognized by any state board/central board or any other accepted by Dr Babasaheb Ambedkar Marathwada University, Aurangabad. Students with a diploma in engineering/technology are eligible for direct admission to the second year of the relevant B.Tech programme. 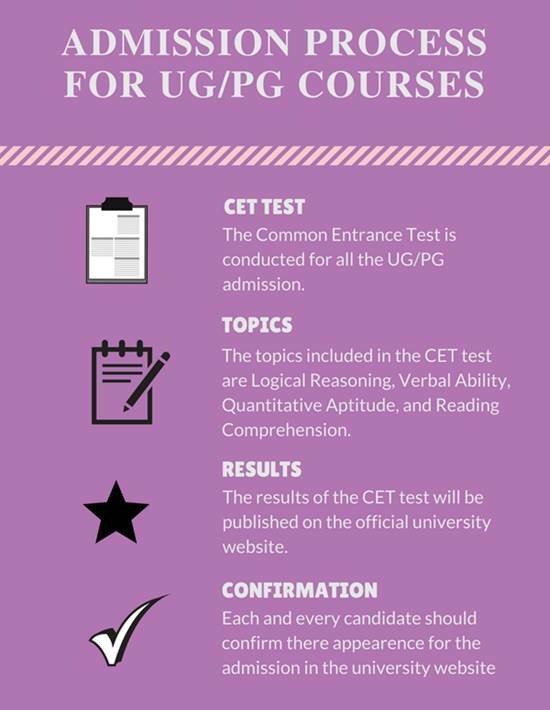 The students who applied for the PG course must have studied the relevant subject in UG course from a recognized university to be eligible for admission to Dr Babasaheb Ambedkar Marathwada University, Aurangabad. The eligibility criteria for joining Dr. Babasaheb Ambedkar Marathwada University is clearing the graduation for MBA course. I cleared the B.Sc with 76% to get admission in the college. PET ENTRANCE EXAMINATION ARE TOOK FOR THIS COURSE. POST GRADUATION ARE COMPULSORY FOR THE M.PHIL ADMISSION at DBAMU. AND ITS DOCTORATE LEVEL EXAM. If you are aspiring for admission to FIRST YEAR of any course in any college of this Univeristy then you can apply online. The students from other states than Maharashtra can also apply without a need to travel initially only for purchasing brochures, application forms etc. Exceptions are the courses for which centralised admissions are done by Govt. For the centralized admission process of the certain courses (such as BE, BTech, BArch, BEd, BPharm, MBA etc.) you will have to apply separately through the centralized admission procedure. 1. The 'Online Application' mostly include all the major courses and colleges of the University. However, if the courses and colleges of the University are not listed in the application, then you will have to contact the college separately. 2. University may add affiliation to new Colleges or affiliate new course to existing Colleges after your application. It will be notified through a Corrigendum in your login. It is your responsibility to check the same regularly and apply for the newly added course/college if interested.